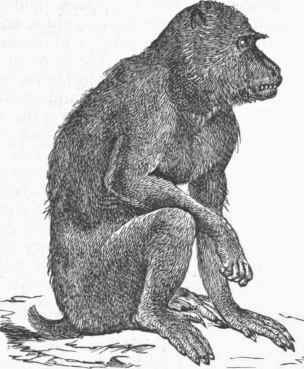 Baboon, a division of the monkeys of the old world, belonging to the genus cynocephalus of Cuvier. This genus is characterized by the position of the nostrils at the very end of the muzzle, which is lengthened and truncated; the teeth are 32 in number, as in man, but the canines are remarkably strong, and the last lower molar has a fifth point; the ridges over the eyes are very distinct, and the occipital crest for the origin of the powerful muscles of the skull and jaws is as large in proportion as in the true carnivora; the face is lengthened, giving the appearance of that of a dog, whence the generic name, and in the adult is marked with longitudinal furrows. All the species have cheek pouches and callosities. 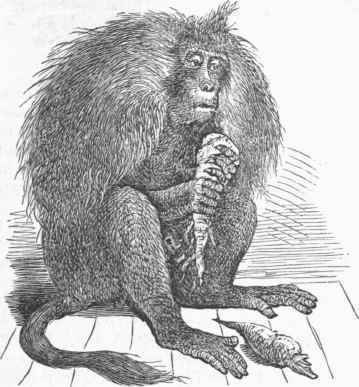 The baboons are among the largest of the quadruma-na, and their strength is enormous; their disposition is fierce and malignant, and their habits are of the most disgusting character; they hardly possess a good quality, and arc almost always rebellious in confinement and dangerous when at liberty. Their dispositions are exceedingly fickle, and they pass on the slightest provocation from a pleased condition into a paroxysm of rage. 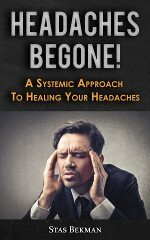 In a wild state they are very cunning, and when attacked are most dangerous enemies. When trained from their youth, they exhibit a considerable degree of docility; but they can never be trusted. They are semi-terrestrial; from the nearly equal length of the fore and hind limbs, they run well on the ground, and are also excellent climbers; then-anterior extremities are remarkably powerful. Their food is principally vegetable, consisting of fruits, roots, the tender twigs of plants, and occasionally eggs and young birds; in a state of captivity they will eat almost anything. In some species the colors are bright, and the fur long and fine, forming a kind of mane on the upper parts. They are generally divided into two groups: the baboons proper, with long tails, the genus cynocephalus of Cuvier; and the mandrills, with short tails, of which Bris-son has made the genus papio. There are six well marked species of the former group: 1. The chacma, or pig-faced baboon (C. porcarius, Desm. ), is a native of Africa, in the neighborhood of the Cape of Good Hope. The color is greenish or grayish black above, palest on the flanks and fore part of the shoulders; the hair on the neck of the male adult is long, like a mane, whence Geoffrey St. Hilaire's specific name of comatus; the face and extremities are violet black, paler round the eyes; the upper eyelids are nearly white; the tail is long and tufted. This animal is exceedingly ferocious, even when brought up from youth in captivity; in its native haunts it hunts greedily after scorpions, which it devours alive in great quantities, having first, with exceeding quickness, broken off the end of the tail containing the sting. 2. 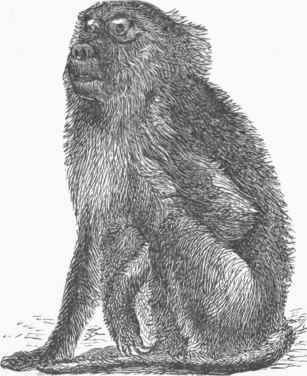 The dog-faced baboon (G. hamadryas, Linn. ), an allied species, inhabits Africa and the borders of the Persian gulf of Arabia. The color is blackish gray, tinged with brown; the hair on the fore parts is very long and shaggy; the face is flesh-colored; the females and young have short muzzles, of a bluish color. It is equally fierce and dangerous with the preceding, of which by some authors it is considered a variety. 3. The Guinea baboon (G. papio, Desm.) inhabits the coast of Guinea. The color is brown above, paler beneath; the cheeks are yellowish; the face, ears, and hands are black; the nasal cartilasre exceeds the jaws in length; the upper eyelids are white. In the young the muzzle is shorter than in the adult, in this as in all the other species. This animal is of large size, and very fierce. 4. The little baboon (G. uabuin, F. Cuvier) is supposed by its describer to be one of the quad-rumana adored by the Egyptians, and frequently seen among their hieroglyphics, and is probably the simia cynocephalus of Linnaeus. It inhabits northern Africa. The color of the male is a uniform yellowish green above, paler beneath; the face is livid; the nasal cartilage is not longer than the upper jaw; the tail, though raised at its origin, is of considerable length, reaching below the hams. 5. 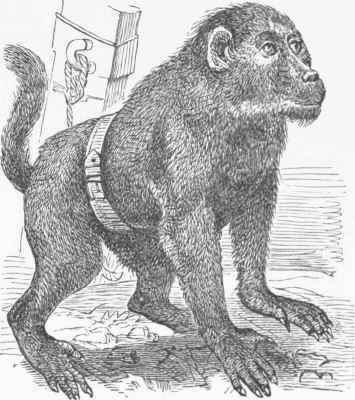 The ribbed-nose baboon (C. mormon, Desm., or G. maimon, Linn.) is a native of the Guinea coast, and is not uncommon in menageries. 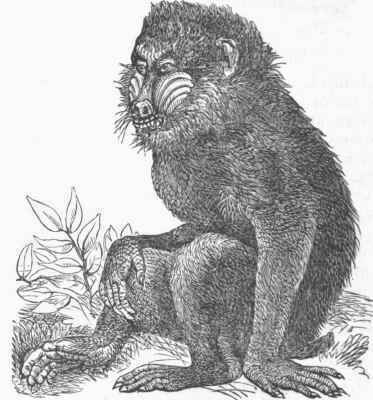 This and the next species, forming the genus papio of Brisson, have the tail very short (almost a tubercle), very large ischiatic callosities, a more elongated muzzle armed with formidable teeth and a greater size than any other species, and the most fierce and disgusting characters of the baboon tribe. In G. mormon the colors of the adult are rich, and their effect is increased by the blue, red, and purplish tints of the face, nose, and naked parts of the skin; in the young the fur is of a uniform tawny green, paler beneath, and yellowish on the cheeks; in the adult male the color is olive-brown, mixed with gray above and white beneath, with a yellow beard, and the furrowed muzzle of a livid blue, with a bright red nose and dull flesh-colored lips; in the young the furrows do not appear, and the tints of the naked parts, as in the females, are less vivid. The species is usually called the mandrill. It recedes much in form from the typical quad-rumana, and approaches the carnivora in its structure, instincts, and appetites; it has been known to tear to pieces and devour living prey with the ferocity of a tiger. 6. The drill (C. leucophceus, F. Guv. ), also a native of Africa, is nearly as fierce and powerful as the mandrill. The color above is greenish brown, tinged with gray, beneath white; the face is a uniform dull black, and the muzzle has no furrows; the under lip is red. The females are smaller in size, and of a duller color. - Other baboons are described, but not with sufficient exactness and authority to admit of a general recognition. 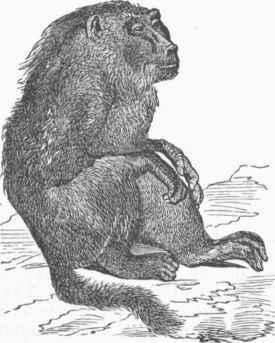 Some species of the genus macacus, inhabiting India and its archipelago, have been incorrectly called baboons; among these may be mentioned M. silenus, Geotf. ; M. rhesus, Geoff. ; M. nemestrinus, Geotf. ; and M. niger, Desm. These, with others, are intermediate between the guenons and the baboons, and in some respects resemble the true cynocephali. - A peculiar species has recently been introduced to the notice of naturalists by Dr. Rtip-pell in his work on the fauna of Abyssinia. This is the gelada (gelada Ruppellii), a large brown baboon, having, when full grown, a very remarkable shaggy mane around his neck and shoulders. About the paws the hair is nearly black. The young gelada is entirely destitute of the hairy mane, and is much lighter in color than the adult animal.